Hireology is the most widely used recruitment CRM platform in retail automotive, powering the hiring process for 1 in 7 dealerships. Representing top groups, independently-owned dealerships and OEMs, we help the automotive industry attract, hire and manage great talent. As vehicle profit margins decrease, dealerships face increased pressure to turn the fixed ops department into a key source of profitability. But dealerships also face challenges with attracting top talent for service techs and related roles. And each day your dealership has an open service tech role, you lose an average of $1,200 in gross profit. Reach today’s top techs and keep your service center moving customers and driving revenue. With eroding margins, local competition, and increasing consumer demands, dealers need to staff up with qualified and capable employees like never before. Get a proven process and the resources needed to attract, hire and manage top talent for every dealership role. From writing product specialist job descriptions to supporting weekly payroll runs and calculating flag time, dealers are managing multiple talent management processes across systems at any one time. Gain centralized control and visibility to drive greater profitability. Staying compliant with ever-changing state and federal regulations can be an expensive, administrative headache. Drive accountability to follow an impactful, legal hiring process with interview guides, verification tools and automated compliance support. 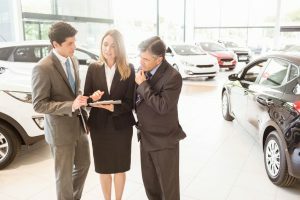 What Do Other Dealerships Think of Hireology? Dealer Principals. General Managers. CFOs. HR Professionals. "Hireology puts it all at your fingertips. I’m looking forward to running faster reference checks and background screenings." The ability to find, recruit, hire and manage the hiring process has been amazing. The staff we've hired using Hireology has been great! "The first survey that is sent quickly eliminates many people because they do not fill it out. Before Hireology, I didn't really have a way to weed through all the applications." "Incorporating Hireology has been super easy. A "one-stop shop" for interviewing, hiring and background screening/drug testing. The interview guide is great and easy to follow. Background and reference checks are also faster or easier, I can centralize the hiring process for me and my team." "With Hireology, I can centralize the hiring process for me and my team. It helps us find auto sales and service advisors. 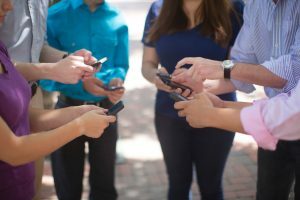 It's been easy to setup and my team likes the tracking and communication that resulting from keeping everything centralized." “We have multiple stores and every store was doing different things when hiring. Now all five stores follow the same process: this is really helpful when we only have one HR department for all the locations. The ease of getting and comparing candidates makes this a great tool for our dealership." "Getting setup with Hireology has been easy. 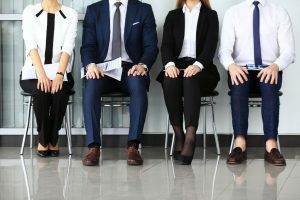 It has let us can centralize the hiring process for me and my team, and I've also reduced the number of people I need to conduct an interview with." "Hireology really changed how we're hiring. The pre-interview questions save us so much time and we've already filled 7 roles with really qualified candidates." "We like having one place for anyone involved with hiring to go and view candidates, their information and hopefully the current status of where they are in the hiring process. I can centralize the hiring process for me and my team." "With Hireology, we have a consistent hiring process and tools to make better hiring decisions. We've already hired over 50 employees with Hireology that are very qualified. The system has definitely improved how we are conducting interviews." "Dealership managers often don't have much training on interviewing and recruiting prospective employees. With Hireology, our managers became much more confident in the process, especially due to the built-in interview scripts." "“Getting set up on Hireology was easy. Their team is incredibly helpful and helped us hire 22 new employees. It’s really changed the way we recruit."